This giveaway is officially finished!! Out of 610 comments #390 was picked by Random.org--Congratulations Teressa!!! I will be sending you an email in a few minutes-all you have to do is reply within 48 hours with your full name and mailing address and I will get the $25 Barnes & Noble Gift Cert. out to you!! Do you love to read? I know I do and I will be giving one lucky person a $25.00 Gift Certificate to Barnes & Noble so that whoever wins can pick out their own book--or whatever else catches their eye at Barnes & Noble!! 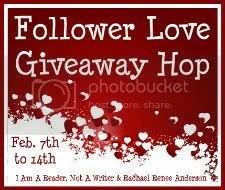 There are LOTS of other blogs participating in this hop and they are all giving away something--so make sure you go to the linky list at the bottom of this post and enter on them as well. Now onto the giveaway--Remember you must put your email address in each and every comment you make so that I can contact the winner when the time comes!! And you will have 48 hours to reply to my email!! books, e-reader books or audio books--a one word answer will do!! I prefer reading on my kindle so ebooks. Although paperbacks are a close second. I used to always prefer paperbacks, because they were more portable and just easier on the hands. But now that I have a B&N Nook, I can't get enough of it! I got it in November and since I've read maybe 2 or 3 (that's being generous) physical books. I just love ebooks now! I follow you on Google friend connect as Bekka. I liked your FB page as Rebekka Holman. Thanks for the giveaway! I like paperbacks. I prefer hardback books. Thanks! I follow you on GFC & google +, FB/twitter & Email. I prefer hardback but usually get the paperback due to cost. I prefer e-books, paperbacks and hardbacks and nice too because I can always see the cover but for convenience purposes I love my Kindle! When I get done with a book I pass it to my local library. Paper backs but only cause they are lighter! I liked the post but was already a follower and an e-mail subscriber. I love physical books. Hard or soft cover is the same to me. Thank you for the giveaway! I love to get my hands on a gorgeous hardcover. But I read a lot of ebooks on my Kindle too, since it's so convenient. Thanks for the giveaway! Though I have a lot of hardbacks, I tend to like the trade paperbacks the best. Paperbacks or hardcover. Bother are awesome. Thanks for the giveaway! I prefer paperbacks, but I do own an e-reader and still love it because it's so convenient! I don't have an e-reader of any type, so ebooks are out. I prefer hardcover to mass market paperbacks, but I think I like trade paperbacks above all else. Somehow love the feel of those best. Liked post and follow on Facebook and GFC - both under Stephanie Ward. Thanks for the great giveaway, I prefer the wonderful paperbacks!! I'm following you via GFC as Thalia Anderson. I'm subscribed to your emails with thaliasbooks@yahoo.com ! I will read both paperback or hardbacks just love to read don't have a e-reader but love to read on my laptop! Thanks for the great giveaway! I definitely prefer real copies over e-books and hardcover preferably. Either hard back or paper back, it doesn't matter. I prefer paperbacks. Thanks for the giveaway! I prefer hardback books. Thanks for the giveaway.